It’s true: you really can’t buy happiness. 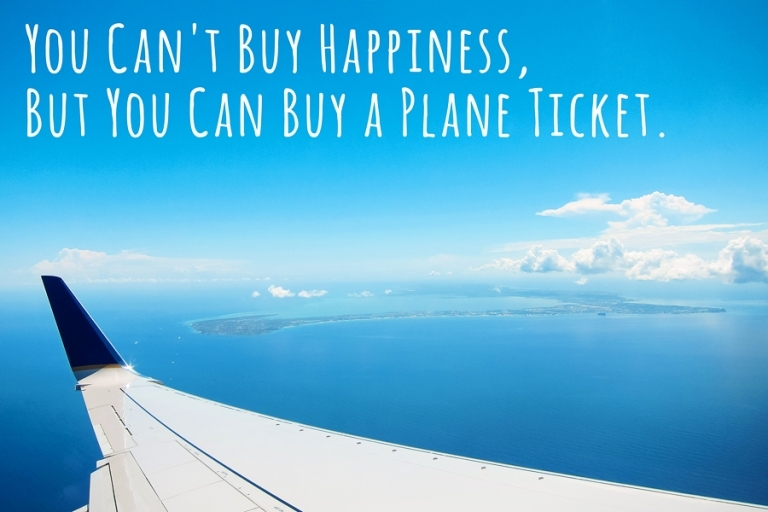 But buying plane tickets sure does make me happy, and over the past week I’ve been loading up on flight-based joy! If all goes as planned, this year has quite a few major trips in store for Chris and me, mostly to cover some European countries which we have yet to visit. I’m also pulling the trigger (clicking the mouse?) on a couple of destinations for next year, so stay tuned. Up next: I continue my obsession with countries that end in -land when we visit the Netherlands along with Belgium! Susan - Adrienne, isn’t it the best feeling to click “purchase” on plane tickets?! It makes it so official!